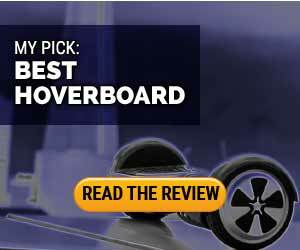 Swagway X1 Review: Still A Good Hoverboard to Buy? Is It Safe to Buy A SwagWay X1? The Swagway-X1 hands-free smart hoverboard- blue, garnet red, green, eight colors in all- is the fastest and most customizable self-balancing electric scooter available. Own one of these and you'll move in a way you never dreamed possible. The Swagway X1 Hands-free Smart Board was the most popular hoverboard for Christmas 2016. For the month of November 2015, the company was inundated with 250,000 minutes of support and customer service calls. In December 2015, Amazon pulled them from their store amid concerns with how safe they were. The company was quick to supply Amazon the documentation showing that they were UL-certified for the charger and the battery inside the units. 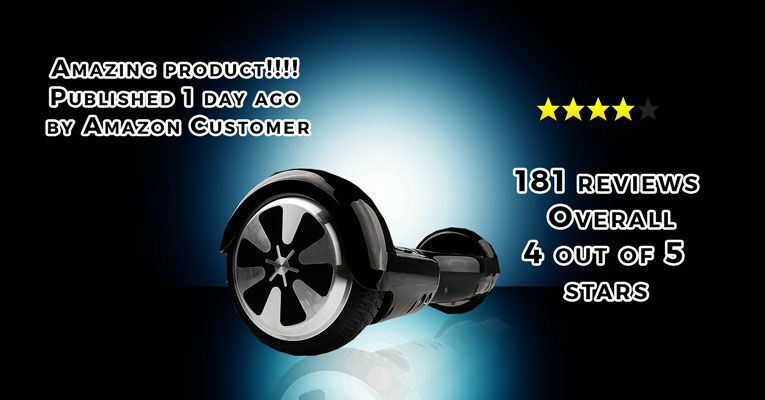 You'll see for yourself in this scooter review.After the recent safety recall of hoverboards, Swagway has introduced several different technologies to the X1 to provide for user safety. All Swagway X1's now include the SentryShield battery casing. I cover the SentryShield in my Swagtron T1 review, but it is designed to make the battery fire-proof. For a limited time only, the Swagway X1 is on sale for $299.99! Plus if you use my coupon code, you can get extra savings off the price. That code is swag-78A540XUCH. Be sure to add the extended warranty for an additional year of warranty protection. Who is should buy a Swagway X1. Anyone who is comfortable with a slightly older model, that also comes with one of the lowest prices around. Medium curb weight of 26 lbs. Typically recharges in under 2 hours. Includes the new SentryShield tech to make the battery safer. The plastic of the chassis shows the lightest scrapes. The poor adhesive used to glue bumpers onto frame. If you lose your bumpers, replacements are available. Swagway took several steps to improve the safety of the X1 hoverboard. It now includes the SentryShield battery protection device, which is the same tech used in the newer T1. Even better, the X1 is on clearance right now for $299. 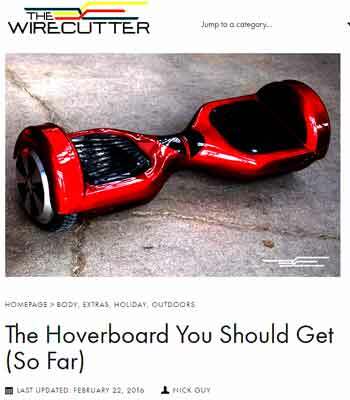 Be sure to use my Swagtron coupon code swag-78A540XUCH and save more money of the cost of a hoverboard. Summary: This is a self-balancing scooter with that is in a class of its own. A high top speed, long range, and excellent battery leave little else to critique. Comes with a 1-year warranty. Shipping is in about 7-10 days instead of from China and 3-5 weeks. Biggest complaints: the chassis scratches easily, and the bumpers are glued on with a cheap glue. 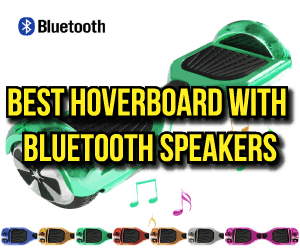 NOTE: The Swagway X1 hoverboard is the best-selling hoverboard from 2015. Yes, it was part of the safety recall that happened earlier this year. Swagtron is exchaging the recalled hoverboards. Contact them directly if you purchased one prior to March 2016. Any X1s sold after March 2016, have many of the same protections that the Swagtron T1 includes. 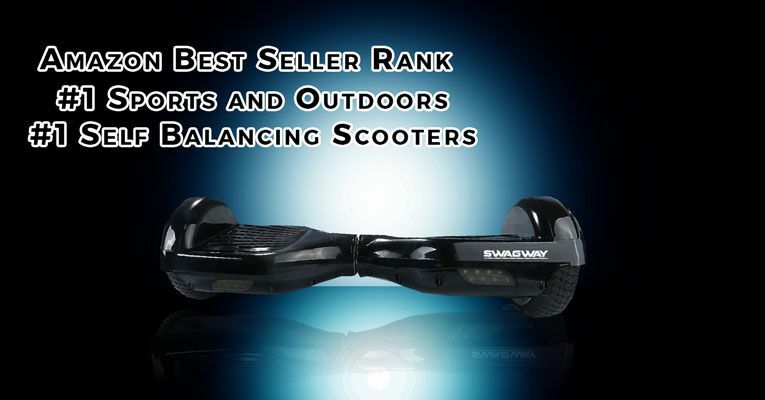 Why is the Swagway Scooter a Best Seller? Quite simply this thing has sold so well because it's one of the fastest hoverboards available, has a low price overall, and is a safe model that won't explode or catch on fire. As you can see, it is 25-50% faster than any of these models. Speed is not the most important criteria to consider, but it isn't something to ignore, either. When one of the cool things about owning a self-balancing scooter is cruising around, how fast you go matters. When you're cruising, it is more fun to be in the fast lane, then being the person who's slowing everyone down? Need more reasons? What Are the X1's Specs? The Swagway Amazon stocks have a top speed of 12 MPH On a full battery it will travel more than 10 miles. It weighs 24 lbs. and can charge in 2 hrs. It has a wheel size of 6.5", which is the same as most other models, though 8 and 10-inch wheeled versions are becoming more widespread. Does it have inflatable tires? It has solid rubber tires, no need to worry about getting a flat. I've already discussed the high top speed, other key specs that stand out: the great range and short charge time are very nice. Lack of a remote control and speakers is not anything to be concerned about for me. You may be different. And that it has an average review on Amazon of 4.1 with more than 360 reviews. Why Is This a Better Buy Than Other Brands? The second thing that's great is the awesome price. When other models of hands-free smart board sell for $1800, (here's looking at you IO Hawk), this is a steal. Even if you weren't considering the IO Hawk, many other models are still an expensive $600-$800. Maybe you've found that you can get a different brand of smart hands-free board for $200 elsewhere. Excellent deal finding skills! But... Sometimes you get what you pay for. The cheapest hoverboard/self-balancing scooters you can find are about $200. But if you review what you are getting when you pay $200, you find yourself with a scooter that has 30% less speed, 25% less battery capacity, and a 30-day warranty. For me, the spending a little bit more cash gives me something that's 2x better? That's money well spent. Though not everything is perfect with what the company ships. A few comments are similar to this one, sprinkled through the reviews on Amazon. The biggest drawback to this smart board is that they used plastic for the chassis that isn't difficult to be scratched. This complaint may be from people who have unreasonable expectations. There's only a 1.2 in. the gap between the bottom of the scooter and the surface it is being ridden on. Couple that low ground clearance, with a vehicle going 12 mph, and any rough terrain could hit the bottom of the scooter. While I don't think that the bottom of your scooter will be inspected, I understand how people would not want to show wear and tear. Another drawback mentioned, was the glue used to adhere the rubber bumpers onto the chassis was of poor quality. With several reports that the: You could use double-stick tape or even a good glue and fix this issue, solving this minor drawback. There is now a vendor on Amazon selling replacement bumpers. They are somewhat interchangeable between the different brands, and a quick fix. The final drawback I see is the same top speed I listed as a PRO. Several people complained that the speed of the unit is too high. 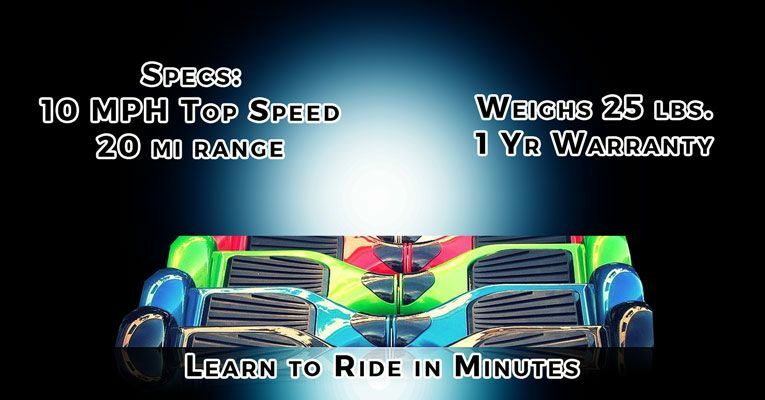 There are several complaints that the speed of the unit and the riders getting into accidents or hurting themselves. There's also the countless videos you've probably seen. This is why if you will be using a smart balancing board, no matter which brand, you need to be wearing adequate safety gear. This includes a helmet, elbow pads, knee pads, and wrist guards. The simple addition of this safety equipment will allow you to keep on riding a self-balancing wheeled board for a long time. Adds a new battery case to protect from fire. The poor adhesive used to glue bumpers onto chassis. In the broadest sense, everyone who gets a Swagway will enjoy it. It depends on your motivations in getting one. Are you the type that wants to get a self-balancing scooter because it's the newest toy around? Then this is the perfect hoverboard for you. Maybe you're a college student looking at self-balancing scooters for college next semester. A Swagway scooter should be the only model to consider. You can wake up ten minutes before class, throw clothes on, grab your books and zip out the door. With its top speed of 12 mph, you can run around campus and get to class in no time. No need to wait for a parking spot or the shuttle, and after school, you can ride back home in style. Or do you want this as a gift for someone? They'll be happy you got them one. Not Convinced About the Swagway X1 Hands-Free Smart Board? You can see my full review of the Powerboard via that link. Overall, the Powerboard and the X1 are very similar. However, when you look closely at the specs of both models, you begin to see which is the best. The Swagway is faster than the Powerboard. It also has more range. The X1's battery and the powerboards are the same; the Powerboard is just configured to go slower and thus has a battery that lasts longer. Read both my review of the Swagway scooter and my Powerboard review and decide for yourself. Either one is a great buy, but for me, the Swagway X1 is the best hoverboard. UPDATE: I've completed my comparison review of 7 different hoverboards and recommended one as the best hoverboard to buy 2016. The Razor Hovertrax 2.0 is much better than the first generation hoverboard from Razor. But for all that it's a much better hoverboard than the previous generation, the new Hovertrax is still pretty underwhelming. Swagway, Swagton, Swegway, they all sound the same. While there's a difference between Segway and these brands, Swagway and Swagtron are the same company. They've just changed names. As for the T1 vs. the X1, there are some significant differences. The Swagtron T1 is the newest generation of hoverboard and was released with new features that allow it to be UL-2272 certified. The X1 has the same battery pack, which is the main feature of the T1. Otherwise, the X1 and the T1 are very similar. However, the X1 is a faster hoverboard than the T1. For many people, that higher top speed in the X1 is the best reason to buy an X1. The R2 and the X1 are almost identical in features. (Add in price right now, if you want a good hoverboard for under $300, either one of these would be a good choice.) While the X1 has a listed top range of a few miles further than the R2, these are values that are created in lab environments, not the real world. Realistically, these two hoverboards will probably perform the same. You can find out more about the R2 here. If you're looking to get a self-balancing scooter for the lowest possible price, this is for you. At the current sale price of $299, it's a steal. You might also consider the Monorover R2; it's also on sale for $298. Both models are currently priced this low because they are older than the new models being listed. Do you want a low price, fast shipping, fast driving hands-free scooter? Then you may want to look at the Swagtron T1. It's a little slower than the X1, but it's got safety features that make it worthwhile. 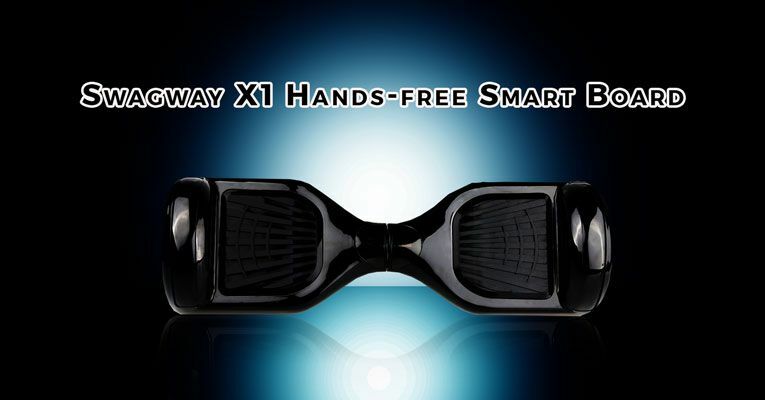 You can purchase the X1 from the official Swagway site. You may consider the price expensive, especially if you have been looking at sites like Alibaba.com. In reality, the price is very economical compared to other brands and models. Yes, you can buy one of these for as low as $200, but you're going to get one that doesn't perform the same. This is a well-built machine that you'll have hours and hours of use out of. Usually, the best price for a hoverboard can be found by visiting the vendor's site. Click here to check the X1 hoverboard's price. Be sure to use my Swagway coupon code swag-78A540XUCH. The Swagway X1 is the previous generation of hoverboard. After the safety recalls, Swagway took the X1 back and came up with the Swagtron T1. They still had lots of inventory of the X1. A quick adjustment and the Swagway X1 was then protected by the same SentryShield battery that the T1 uses. This is a great hoverboard, and it's being sold for a bargain price. Don't forget these essential accessories to make your hands-free scooter purchase complete.